Block and Learn turns learning into play time with this long term intelligence smart play toy that paves the way for discovery and development. This includes 12 cubes and eight triangles for stacking. 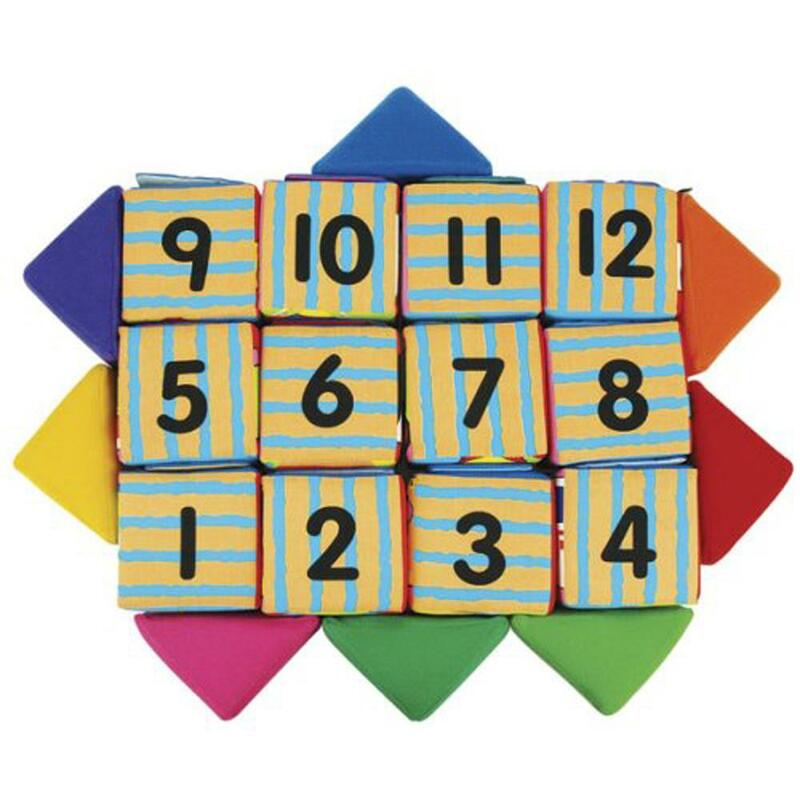 It features Number faces, peek a-boo, and a variety of pictures on the cubes enable kids to learn consequence, counting, and matching. A puzzle provides good practice in hand eye coordination and logical thinking. Each cube block measures 3.2"H x 3.2"W x 3.2"D.